Please find my slides showing the vision of the BEMNext Lab on how to go from BIM to BIMNext and BEM to BEMNext below. These were presented at the VNMG day BIM in Den Bosch, The Netherlands on 9 april 2013. Please find my slides showing the vision of the BEMNext Lab on how to go from BIM to BIMNext and BEM to BEMNext below. These were presented at Het Laatste BIM congres in the Jaarbeurs, Utrecht, The Netherlands on 22 november 2012. I have released a special blog dedicated to NetworkedDesign yesterday: http://networkeddesign.org/. Watch this space if you are interested in this research and want to know where the development might be going (at some point you might even be able to download a version). The IASS 2015 conference (International Association for Shell and Spatial Structures) will be organized in Amsterdam in 2015. It will be organized by Arno Pronk (TU Eindhoven), Andrew Borgart (TU Delft) and yours truly, who will be supported by a larger organizing committee from The Netherlands (if you are interested, let us know). The theme of the conference is still under discussion, but I am sure that the topics of computation, geometry and the latest design developments will have a prominent place. Some time ago I wrote an article for Geotechniek, which they now put online. I have also put a link in my list of publications. 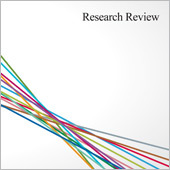 Arup’s Research Review 2012 is out! It contains articles about the various achievements made in research over the last year(s). New study group: Active Bending. announced on the SMG blog. Many people are requesting my publications. You can find a list here under Research > Publications. It is not 100% complete. Please bear with me while I complete it.